Wilde published his well-received Poems in 1881. The next six years were active ones. He spent an entire year lecturing in the United States and then returned to lecture in England. He applied unsuccessfully for a position as a school inspector. In 1884 he married, and his wife bore him children in 1885 and in 1886. He began to publish extensively in the following year. His writing activity became as intense and as inconsistent as his life had been for the previous six years. 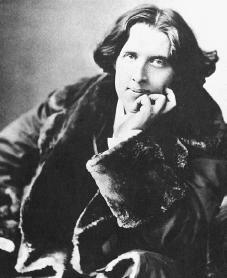 From 1887 to 1889 Wilde edited the magazine Woman's World. His first popular success as a fiction writer was The Happy Prince and Other Tales (1888). The House of Pomegranates (1892) was another collection of his fairy tales.